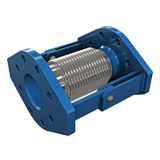 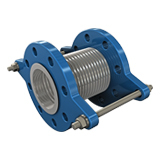 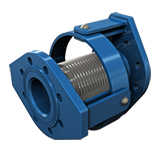 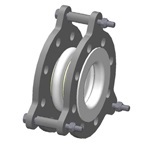 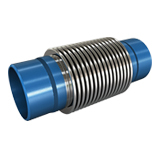 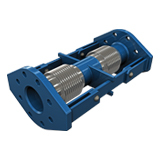 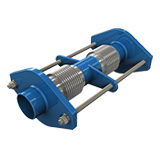 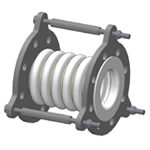 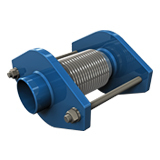 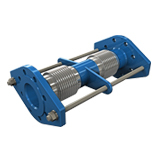 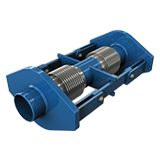 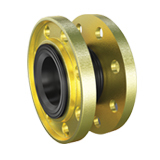 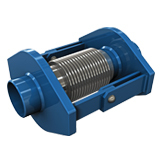 KRS-4 External Pressurised expansion joints are used to absorb the thermal expansion parallel to the axis of the straight pipelines. 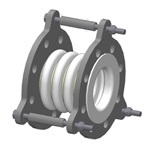 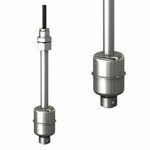 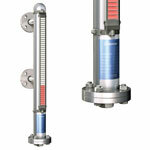 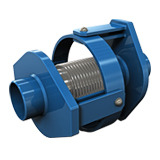 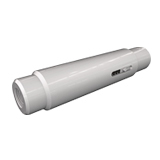 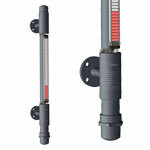 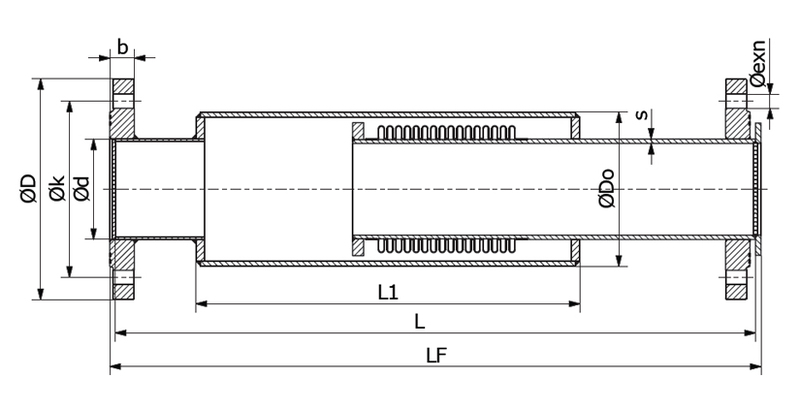 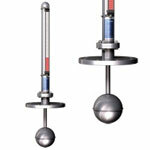 Long piping systems are divided into shorter expanding sections, and isolated by main anchors. 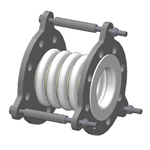 Thus the movements in the individual expanding sections are absorbed by the KRS-4 axial expansion joints in this section. 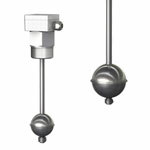 Special Weldend : Stainless Steel etc. 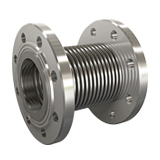 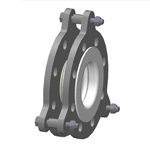 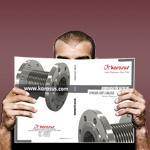 Special Flange : Stainless Steel DIN, BS, EN, ANSI etc. 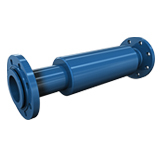 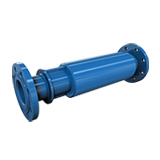 For absorbing axial movement, For reducing tension and noise, All machines, All pumps, All motors, Industrial applications, Exhaust systems, Gas and water lines, Drinking water lines, etc. 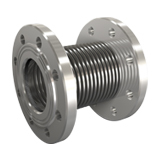 All weldends, flange and pipe parts in all diameters are with special paint ( for corrossion protection). 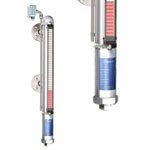 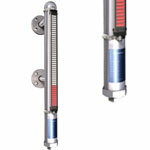 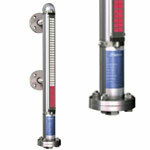 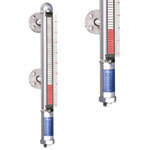 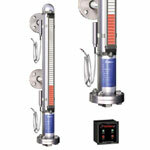 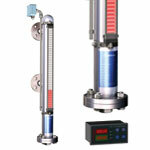 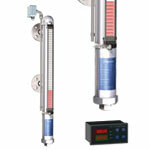 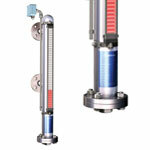 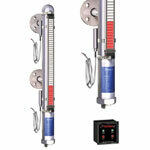 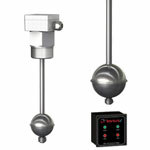 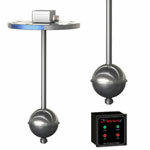 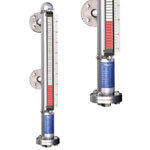 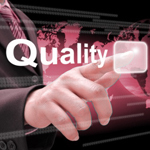 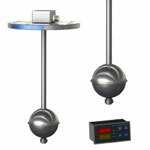 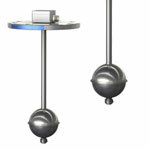 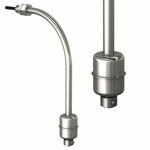 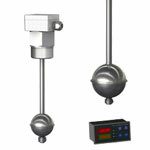 Design temperature can be designed until + 950 C as well.Products are under our 2 years quarantee for factory faults. 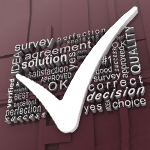 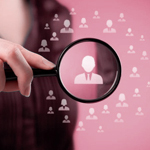 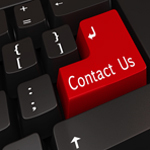 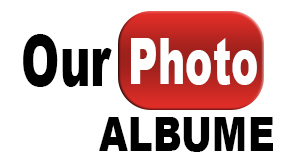 For special requirements please consult us. 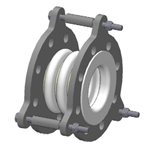 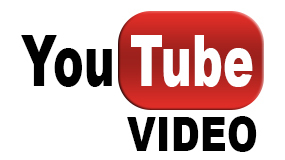 Please see Useful technical tables pages for flange and pipe size tables.Use liner to protect bellow from wear due to abrasive media.